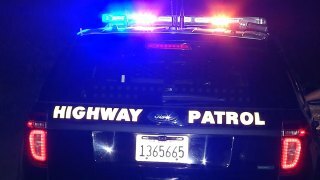 A man was struck by a car and killed when he walked onto northbound U.S. Highway 101 in San Jose on Saturday, according to the California Highway Patrol. The collision occurred at the Tully Road onramp and was first reported at 1:35 a.m. The road was reopened around 3 a.m., the CHP said. According to CHP officer Ross Lee, the victim is a 42-year-old man from San Jose, who is believed to have been homeless. It remains unclear why he wandered onto the freeway, but was killed on impact, Lee said. The driver, also from San Jose, was behind the wheel of a 2009 Volkswagen. The driver stayed on the scene and cooperated with CHP officers and appears not to be at fault, Lee said. Neither alcohol nor drugs appear to have contributed to this crash.